The Fender Hanging Guitar Stand is a stylish way to display your guitar or bass. 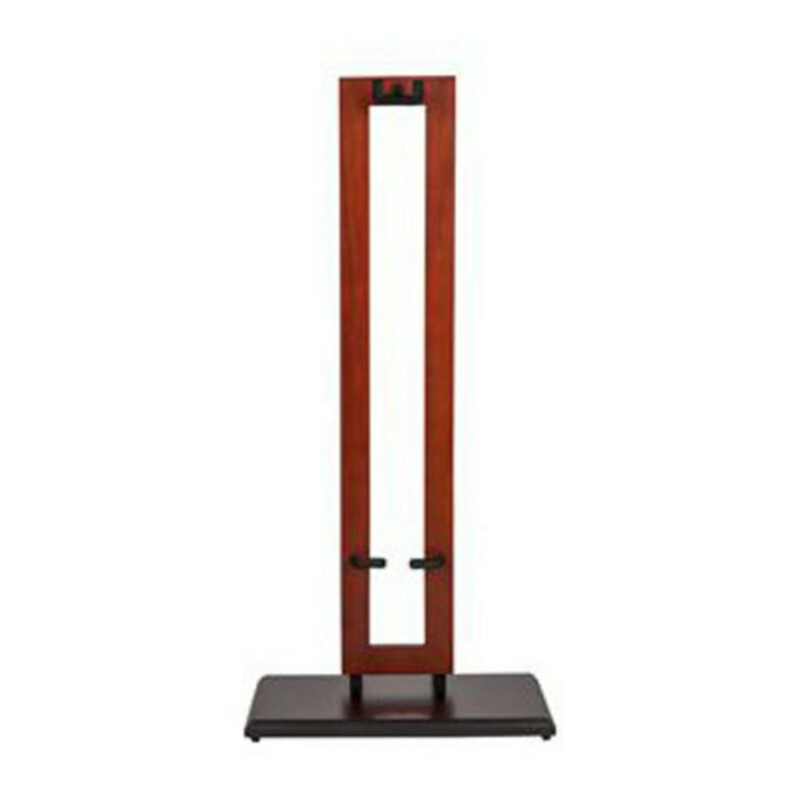 The Cherry stand with Black base will compliment any environment and will accommodate any style of guitar or bass with its subtly tilted frame and bumpers. 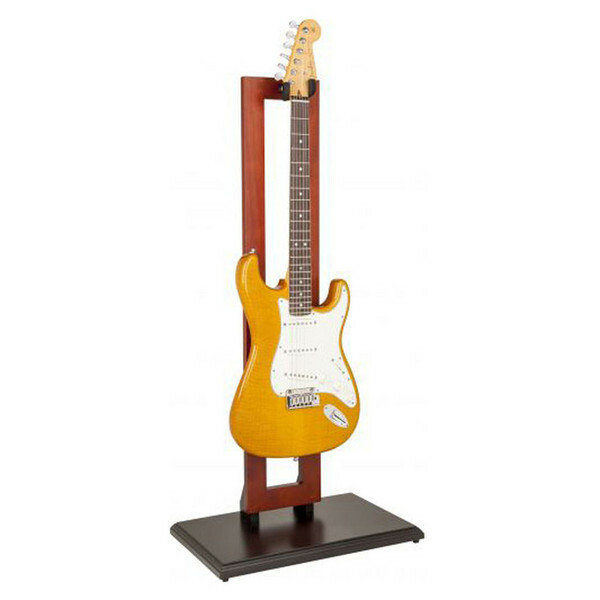 Have your guitar safe at hand and ready to play at all times with the nitrocellulose safe padded, contoured yolk featured in this hanging guitar stand that will accommodate any headstock shape, allowing your instrument to hang straight and secure.